Three new movies arrive in wide release this weekend, lead by Disney Pixar's The Incredibles 2, Warner Bros.' R-rated comedy Tag and Sony's drama remake Superfly hitting theaters, but another film debuting in limited release, Gotti, is making headlines for another reason. Gotti, which stars John Travolta as infamous crime boss John Gotti, debuted with a 0% rating on Rotten Tomatoes, with no positive reviews out of 14, as of today. While this is certainly a rare distinction, it was the third Travolta movie to get 0%, following 1983's Staying Alive and 1993's Look Who's Talking Now. 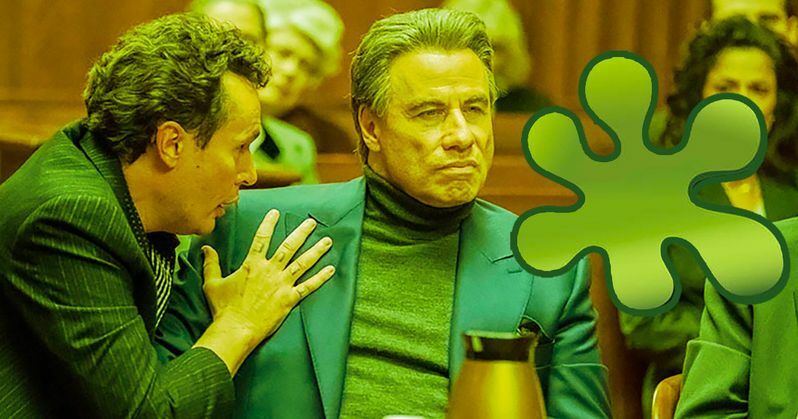 Gotti earned a slightly better distinction on the Rotten Tomatoes competitor MetaCritic, where it earned a 27 rating out of 100, based on five reviews. The movie was trashed by New York Times critic Glenn Kenny, who called the movie a "dismal mess," adding he was shocked at how "multifaceted a dismal mess. The Hollywood Reporter's Jordan Mintzer added, "The film is pretty terrible: poorly written, devoid of tension, ridiculous in spots and just plain dull in others." The movie is opening in 503 theaters this weekend, and it's expected to earn anywhere between $1 million and $2 million in its opening weekend, after years of development that was often filled with controversy and turmoil. The project was first announced in 2011, when John Gotti Jr. struck a deal with producer Marc Fiore to make a film about his father, after reportedly turning down an offer by Sylvester Stallone. While Fiore only had one produced movie to his name, a direct-to-video movie called One, Two, Many which starred John Melendez, best known as Stuttering John from the Howard Stern Show. Fiore, along with his partner Fay Devlin, a construction magnate who was flush with cash, managed to secure John Travolta to play John Gotti, although the creative team was a revolving door. Nick Cassavetes (The Notebook) was the first attached to direct, but he departed thanks to creative and scheduling issues, and he was followed by Barry Levinson, with his Bugsy screenwriter James Toback performing rewrites, before they both left. Joe Johnston (Captain America: The First Avenger) was attached to direct next, but he was followed by the filmmaker who ultimately took the helm, Kevin Connolly, best known for starring in Entourage. The cast was just as big a revolving door as the creative team, aside from Travolta. Al Pacino was announced to play Gambino crime family underboss Neil Dellacroce, who was ultimately played by Stacey Keach, with Lindsay Lohan once tapped to play Gotti's wife, a role that would ultimately be played by Megan Leonard. Joe Pesci was once attached to star as well, but he ultimately filed a $30 million lawsuit against Fiore Films, claiming his role was cut after he put on 30 pounds for the role. The lawsuit was settled and Pruitt Taylor Vince ultimately took the role. The project resurfaced in 2013 at the Cannes Market, but production didn't start until 2016. Even when the film was in the can, the filmmakers pulled the movie from Lionsgate because they wanted a wider release, and now it will arrive in 503 theaters today through Vertical Entertainment. You can head over to The Hollywood Reporter for their full report.